That photo shows the Morris Canal after abandonment with some water left still flowing under the Broad St. bridge. Notice the RR telegraph poles similarity. 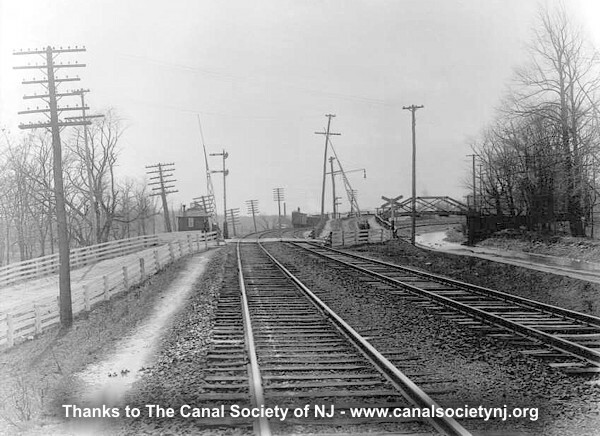 The RR is Delaware, Lacakawanna & Western and the tracks are just on the approach into the now gone Paterson Station. In fact the location today is entirely changed. This old RR canal right-of-way is now Rte 19 highway north on its approach to connect with Route 80 at the base of Garrett Mountain. I believe in your photo the Garrett Rock profile can be seen passing behind the girders of the RR bridge in the distance. 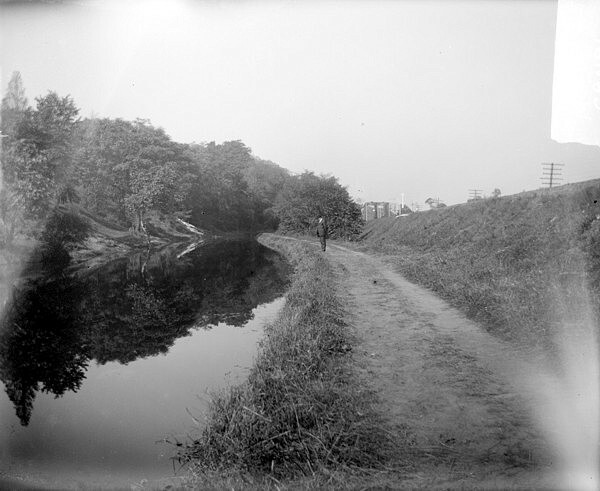 The bridge was for the passage of the canal under the RR, as you see it bends to the right in the distance The canal then paralleled the RR on the opposite side (North Side) through Paterson then returning back to this side in what is now West Paterson. Up the hill to the left some ways across Valley Road is Lambert Castle. 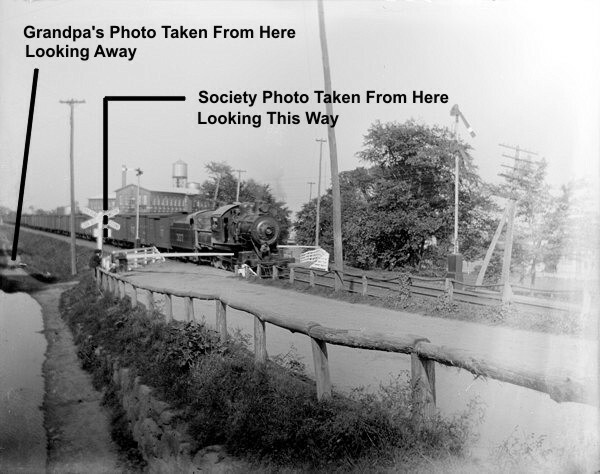 Broad St. later was cut under the RR by a bridge and connected to Hazel Road. The RR bed was then utilized for completion of Rte 19 around 30 years ago. Thanks to Mr.Hoffman, and the other Society members who helped pin down the location. This detective work is fun!